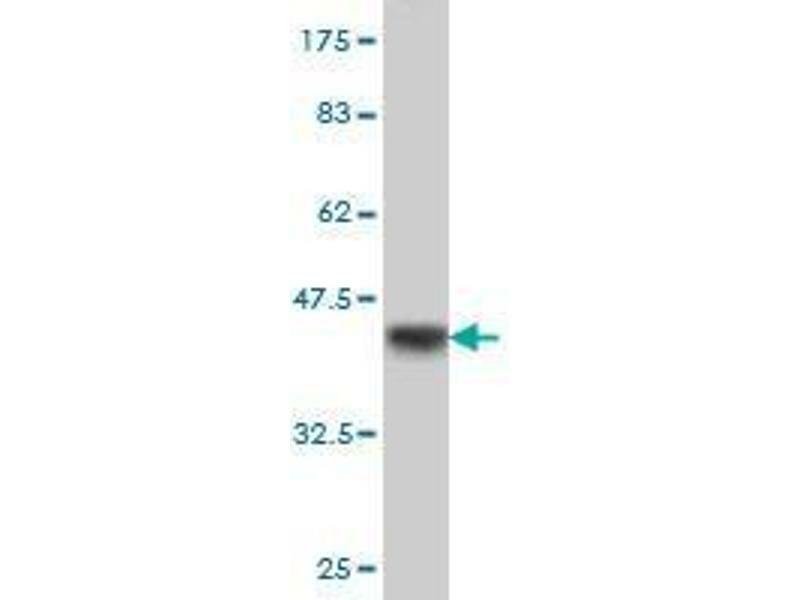 Immunoperoxidase of monoclonal antibody to RBBP6 on formalin-fixed paraffin-embedded human testis (antibody concentration 3 µg/mL). 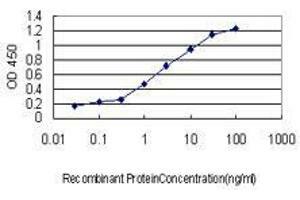 Detection limit for recombinant GST tagged RBBP6 is approximately 0.1 ng/mL as a capture antibody. 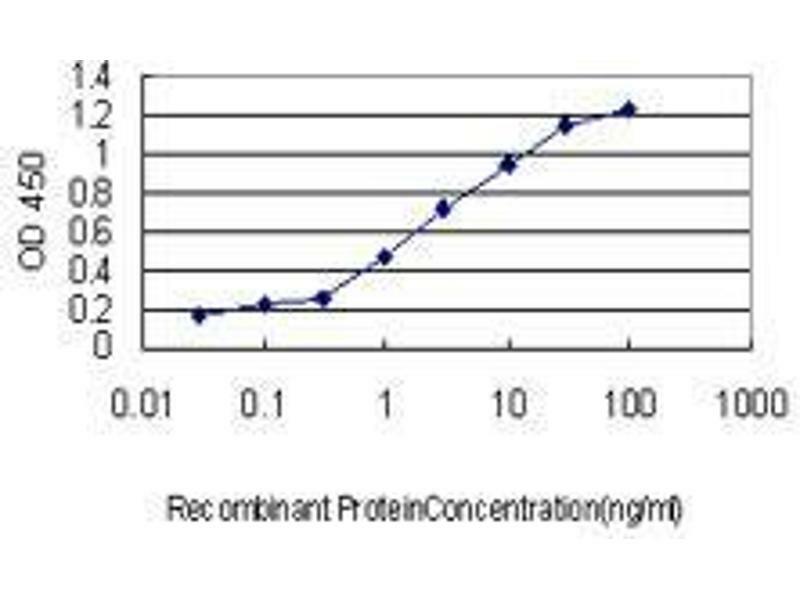 Detection limit for recombinant GST tagged RBBP6 is approximately 0.1ng/ml as a capture antibody. Specificity RBBP6 (NP_008841, 1582 a.a. ~ 1692 a.a) partial recombinant protein with GST tag. MW of the GST tag alone is 26 KDa. 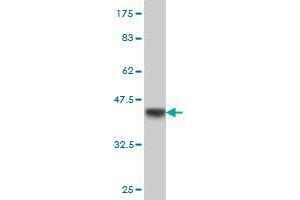 Target/Specificity: RBBP6 (NP_008841, 1582 a.a. ~ 1691 a.a) partial recombinant protein with GST tag. MW of the GST tag alone is 26 KDa. 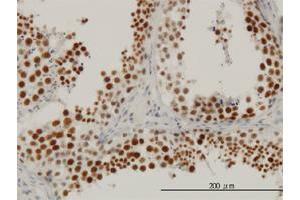 Background: The retinoblastoma tumor suppressor (pRB) protein binds with many other proteins. In various human cancers, pRB suppresses cellular proliferation and is inactivated. 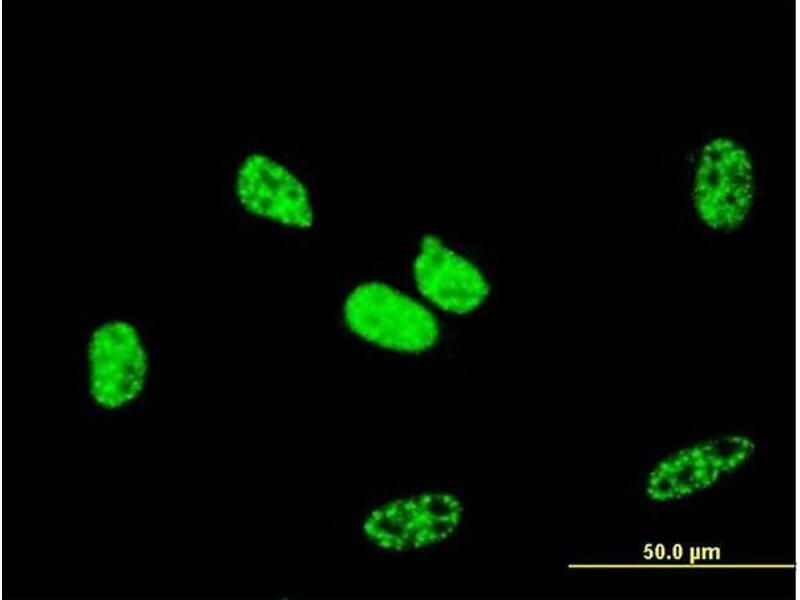 Cell cycle-dependent phosphorylation regulates the activity of pRB. 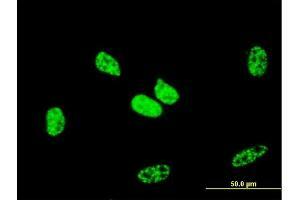 This gene encodes a protein which binds to underphosphorylated but not phosphorylated pRB. 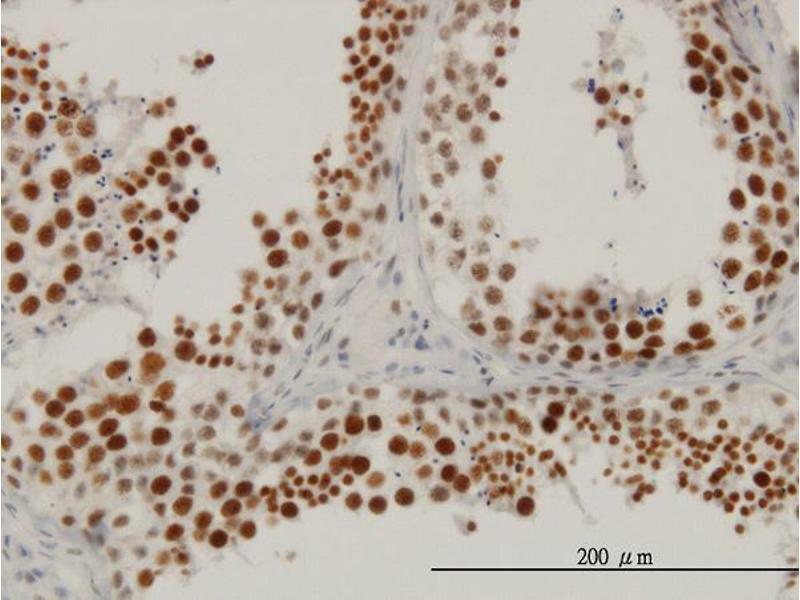 Multiple alternatively spliced transcript variants that encode different isoforms have been found for this gene.